FX Blue has been awarded a Queen's Award for Enterprise – the UK's highest accolade for business success. The award was given to FX Blue for International Trade in recognition of its substantial and sustained year on year growth in overseas sales. Over the last eight years, FX Blue has rapidly expanded its global client base and currently supplies FinTech solutions to banks and brokers in over 20 countries and free trade analytics and software services to retail traders in over 120 countries worldwide. London-headquartered FX Blue has made a material contribution to the global retail FX and CFD trading markets since its inception in 2010. Through its business-to-business division, FX Blue Labs, the firm has developed a range of multi-platform and multi-lingual 'Software as a Service' solutions including innovative apps, widgets and trading technology services. These help banks and brokers to attract, inform, and retain clients by offering them enhanced trading functionality and access to premium data and analytics. Through FX Blue, its retail division, the organisation has developed a free portal giving retail traders access to institutional quality trade analytics and trading related software, enabling them to make better informed decisions. 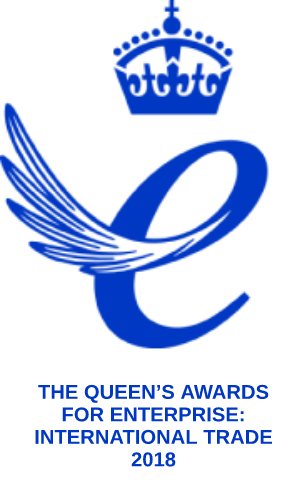 The Queen’s Awards for outstanding business achievement in the fields of International Trade, Innovation and Sustainable Development are made annually by HM The Queen. They are only given for the highest levels of excellence demonstrated in each category. Winners of The Queen's Awards are invited to attend a special reception at Buckingham Palace. They can also use The Queen's Award Emblem in advertising and marketing for a period of five years as a symbol of their quality and success.